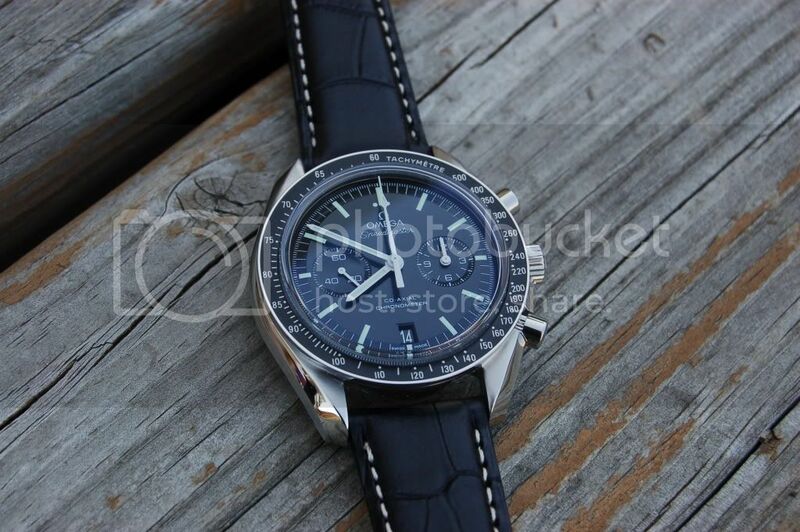 Omega Speedmaster 9300 owners... Your opinions down the line? 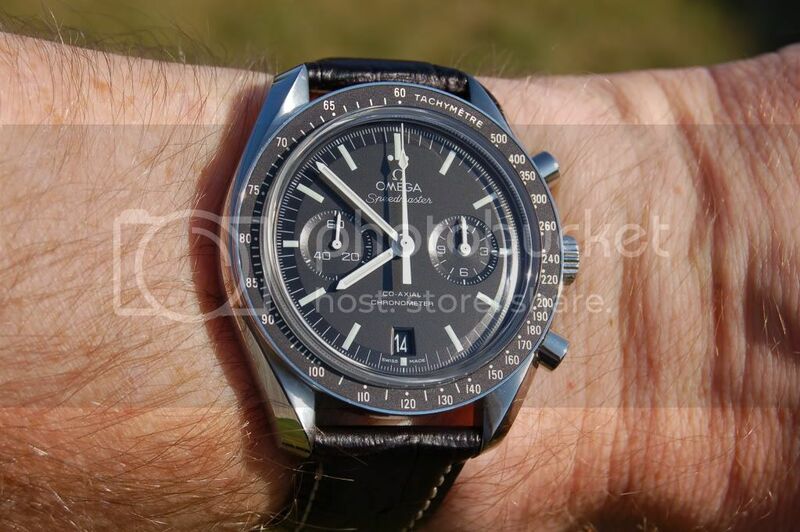 Thread: Omega Speedmaster 9300 owners... Your opinions down the line? I'm currently seriously contemplating a 9300 Speedmaster. I tried one today and thought its stunning in real life. Really well done in pretty much every aspect. I noticed a thread you guys created back in February 2012 and therefore I wondered how you are getting along with your watch over a year down the line. Have you kept them/flipped them, has the novelty worn off, are they keeping good time or showing any faults etc? I'd expect not to the latter but you never know. Any opinions will be greatly appreciated as the main thing putting me off is the price!! In regards to this, are there any hints of resale values yet? Last edited by W44NE G; April 17th, 2013 at 01:19. Re: Omega Seedmaster 9300 owners... Your opinions down the line? Still love mine. No regrets. In terms of resale value, I'm not sure. I noticed that member IGotID is putting his up for sale. Th​anks, unfortunately I'm in the UK but will keep an eye out for his pricing. 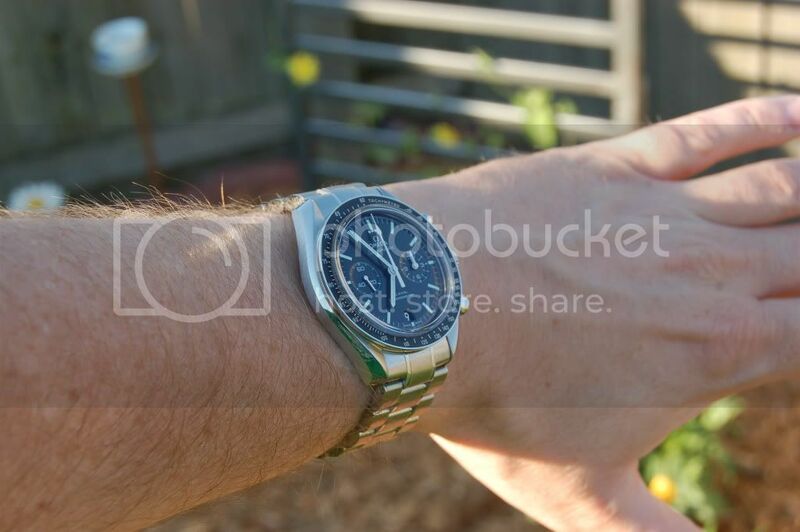 Re: Omega Speedmaster 9300 owners... Your opinions down the line? I like mine, it doesn't sing to me like my POs but I won't be selling it. To elaborate its amazing but expensive. Last edited by GTTIME; April 17th, 2013 at 11:03. I like mine, it doesn't song to me like my POs but I won't be selling it. I have had mine 9 months. I love it (it loses 1 sec a day, stable in all positions. I would prefer gain 1 sec). I find the bracelet on the 9300 Speedy much less prone to desk rash for some reason. I had an 8500 PO which was stolen which I miss dearly. But thinking back when I had both, the Speedy was my daily. But I still want an 8500 PO but I don't need one. I've had mine for a year and still really like it. I switch mine pretty frequently between the metal and leather bracelet as I am not sure which I prefer more. My only criticism is that the watch can be a bit tall especially if you need to wear business shirts at work. You will get used to the size and height very quickly. BaCaitlin, Alex_TA and mitadoc like this. I switch mine often as well and always miss whatever isn't on it at the time. So odd. I don't find it tall at all. I really wanted to like this watch. Tried it on at the boutique but just did not like how it felt on the wrist. It is slightly thicker than the speedy pro and that is what bothered me as I was planning to use it as a dress watch. May have to try it on again to give it another try as I really like how it looks. I reluctantly sold mine to fund some home improvements and have regretted it since. It is a fantastic watch, easily worth the price (on the secondhand market anyway) and looks stunning on black leather, and great on the bracelet as well. I don't feel like it wore any taller or bigger than a standard 3570.50 but I'm not overly-sensitive to watch size. It kept great time and my only (minor) complaint is that the 21mm lug width somewhat limits strap options. I will be re-obtaining this one eventually. mikkemus23 and mitadoc like this. See my profile page for feedback as a buyer and seller. I still love mine, and wear it regularly. I also have a silver dial AT 8500 and swap them around as my dailies (I wear a suit on work days). The Speedy is more accurate (+1 per day) and looks fantastic on the bracelet and the strap. I really can't decide which I prefer. Like a previous post, I tend to miss whichever isn't on - very odd! The watch that has suffered the most since buying the 9300 is my Speedy Pro - that gets no wrist time at all because, in my opinion, the 9300 does it all a little better. The auto, the date, the sapphire - it's just a beautiful watch. I have a plan how to get more wrist time for the Pro, more on that in a week or two when it's sorted.....! All times are GMT +2. The time now is 15:38.